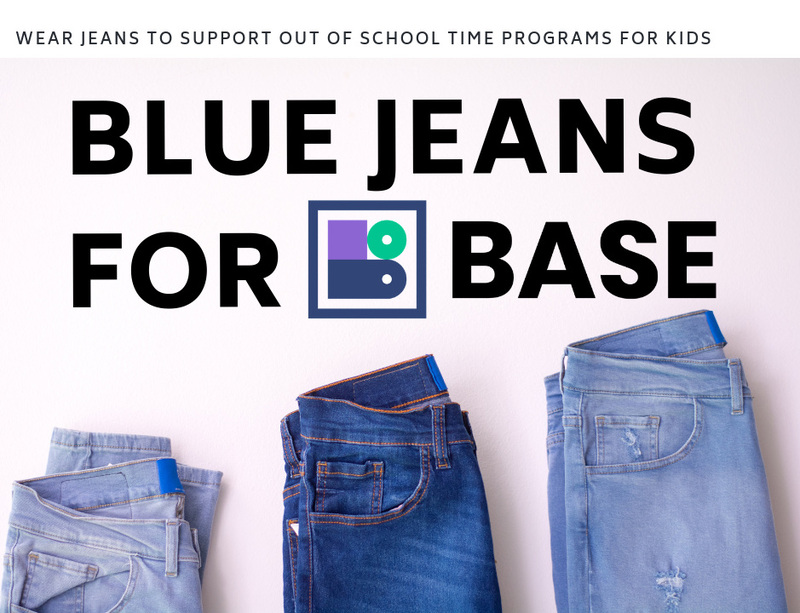 Join us during our BASE Kids for Change Week- April 29th-May 3rd by running our Blue Jeans for BASE fundraising program! A fun program to support BASE while boosting employee morale at the same time. The Blue Jeans for BASE program is a turnkey way to get your employees involved in your BASE partnership, while promoting teamwork and community involvement.